Drawing courtesy of the City of Rochester. The city expects to start construction on the Elmwood Avenue-Collegetown cycle track this year. 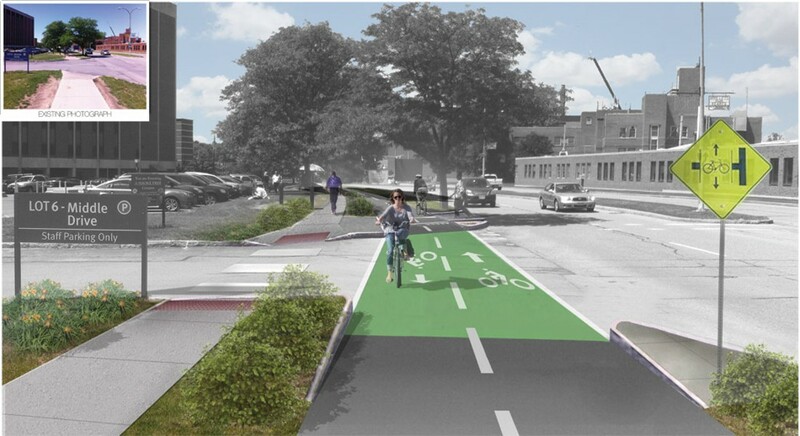 The project will create a two-way, bike-only corridor along Elmwood between Wilson Boulevard and Mt. Hope Avenue.